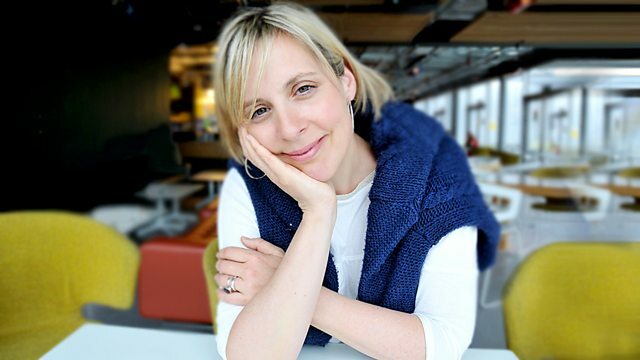 Mel Giedroyc listens out for garden birds, takes some Sneaky Peeks at upcoming 4 Extra comedy, and learns why Helena Bonham Carter is happiest when dressed as a chimp. Brett Westwood and Stephen Moss with tips on how to identify the birds most often seen at this time of year. Shaun Foggart runs a crocodile zoo, fulfilling a childhood dream. Andi Osho with a look at the comedy coming up in the week ahead on Radio 4 Extra. The actress on being in disguise, and living next door to partner Tim Burton. Part 2 of Lewis Carroll's classic tale. Alice finds herself in a garden of talking flowers.